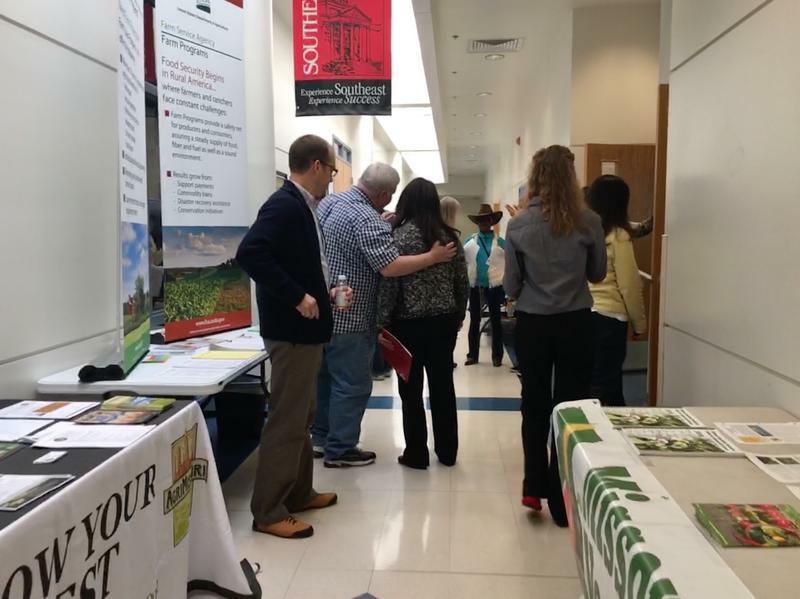 The Annual Minorities and Limited Resources Farmers and Producers conference took place at the Southeast Missouri State Univeristy regional campus in Sikeston. Nancy Smith gives a presentation on the wholesale market and the buyer's perspective. Many booth presentations were available for viewing during breaks at the conference. 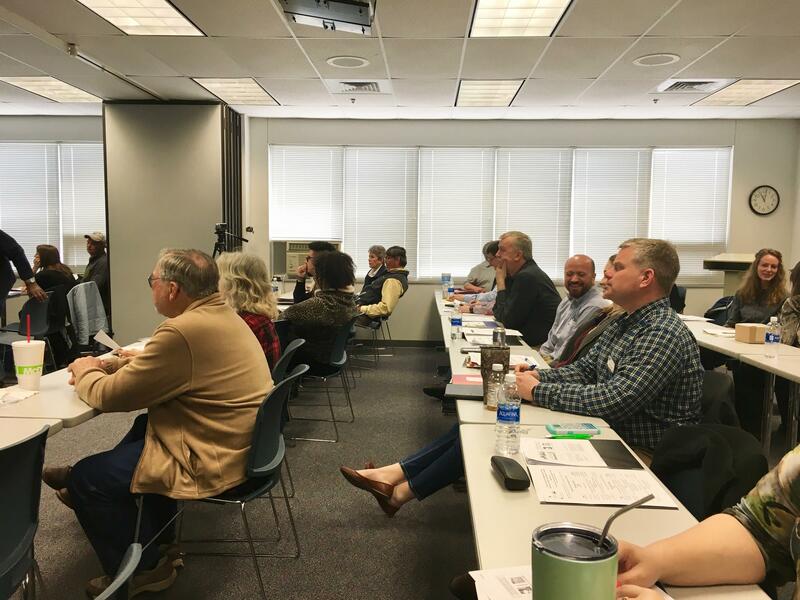 The Lincoln University Cooperative Extension hosted their seventh annual Minorities and Limited Resources Farmers and Producers Conference at the Southeast Missouri State University regional campus in Sikeston last week. In the past, the event has touched on topics such as soil fertility and season extension, but this year, marketing was its main focus. Touria Eaton, assistant professor and state extension specialist of horticulture at Lincoln University, says they’re very happy with the turnout each year, and according to post-conference surveys, attendees all walk away with an expanded knowledge on farming. But, Eaton says she hasn’t observed as much impact from past conferences as they’ve hoped for. They’ve found that minority farmers are growing good crops, but after working closely with those farmers, they discovered that the difficulty lies in unfamiliarity of where or how to market them. She says conveying to farmers that farming is purely a business is their main goal each year, and marketing is a topic that they hope will push that point. She says this year’s conference should teach farmers how to diversify their markets. The conference is available to six different minority groups, including African-Americans, women, amish/mennonite, latino, veterans, and those with disabilities. 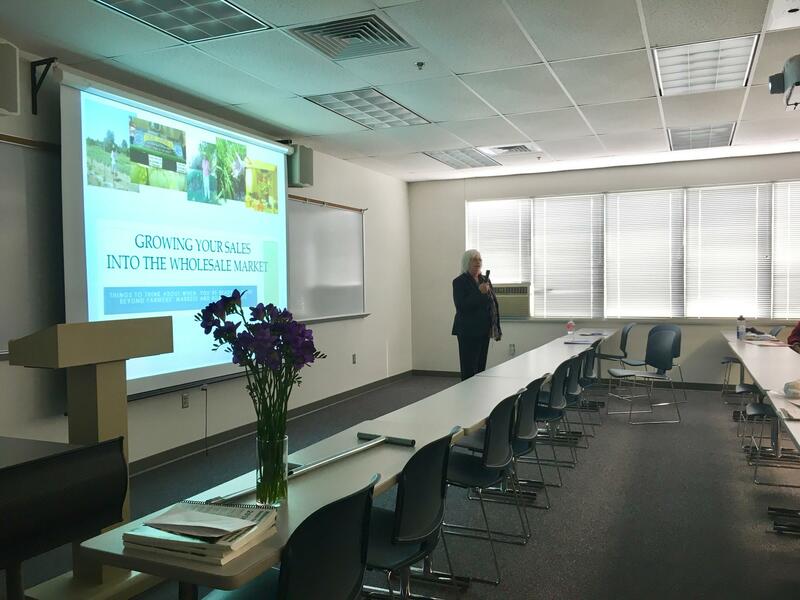 Miranda Duschuck, co-founder of the successful St. Louis-area flower farm, “Urban Buds,” was one of the day’s speakers. She discussed social media tactics, different ways farmers can present themselves at farmers markets, and farming trends. She said that getting customers to buy your product over others’ at a farmer’s market all starts with your branding. She also spoke on customer service and engagement. “How do you [keep people engaged]? Having quality products, understanding people's needs, responding to their needs, and making them happy,” said Duschack. Other keynote speakers at the conference represented the USDA, Farm Service Agency, and the Missouri Department of Agriculture. They spoke on how to connect with consumers, understanding the buyer’s perspective, farmers market tactics, available farm loans programs, social media marketing, growing alternative crops, and how to grow into the wholesale market. The Minorities and Limited Resources Farmers and Producers Conference is funded through grants by the Missouri Department of Agriculture, the Farm Service Agency, and the National Resources Conservation Service.